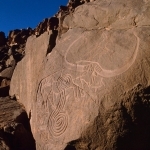 Algeria is Africa’s largest country and most of it falls within the Sahara Desert. 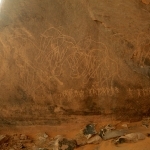 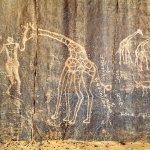 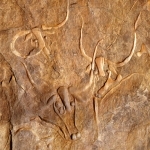 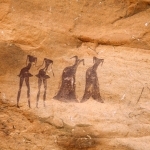 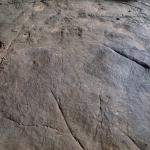 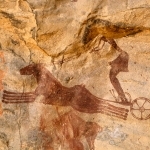 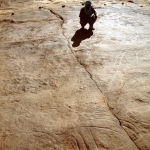 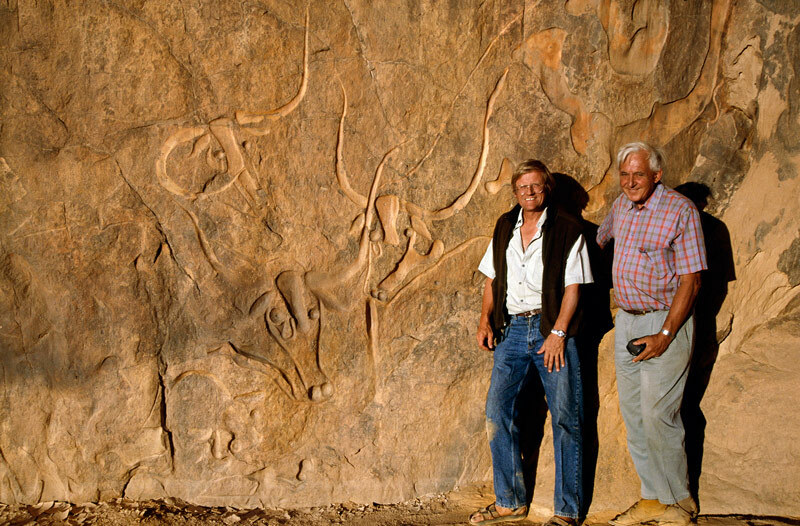 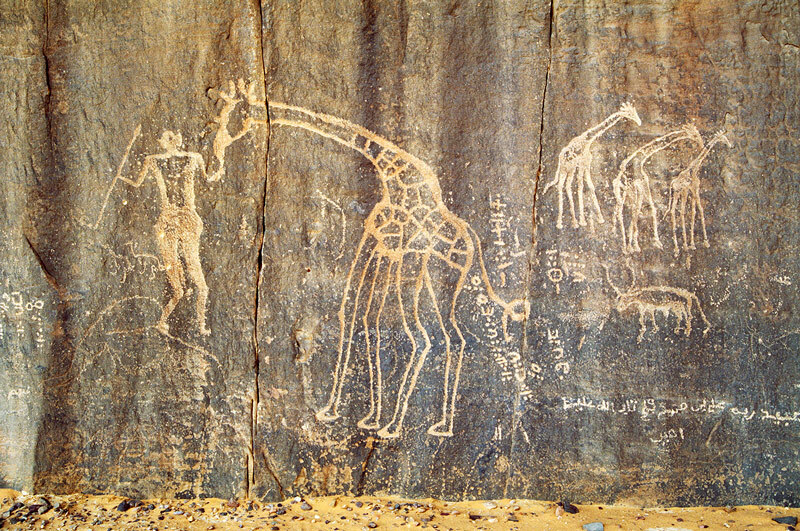 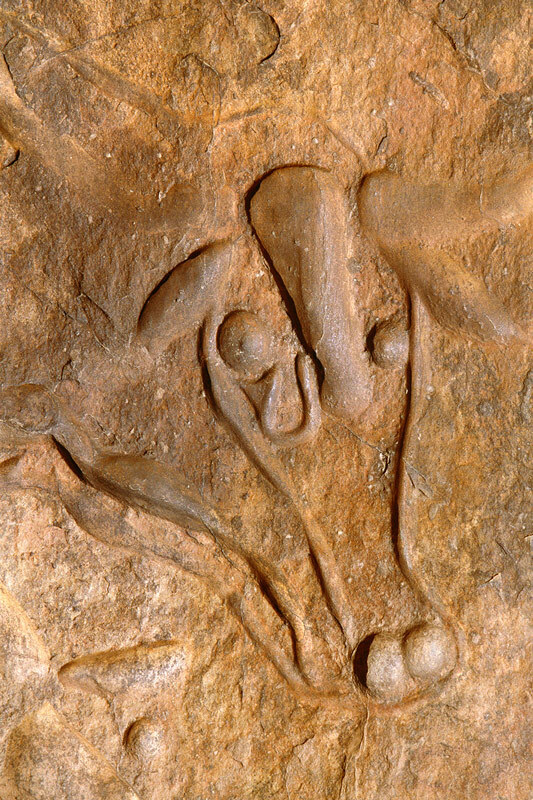 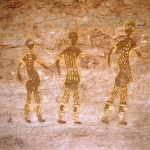 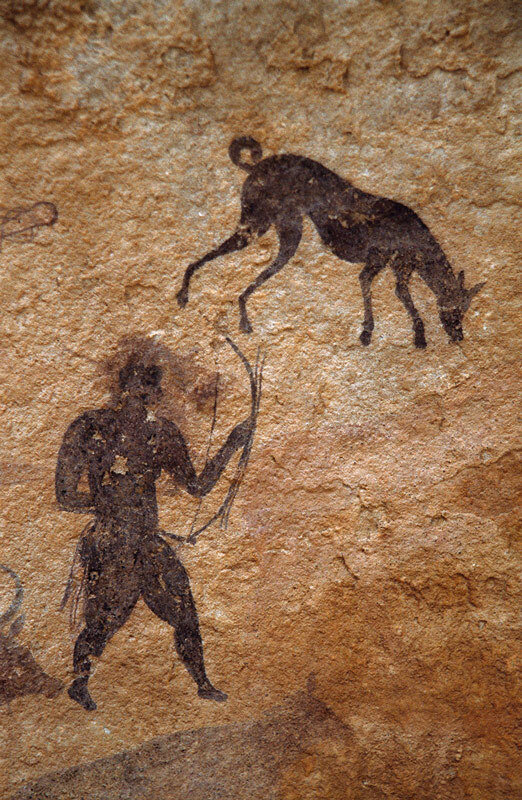 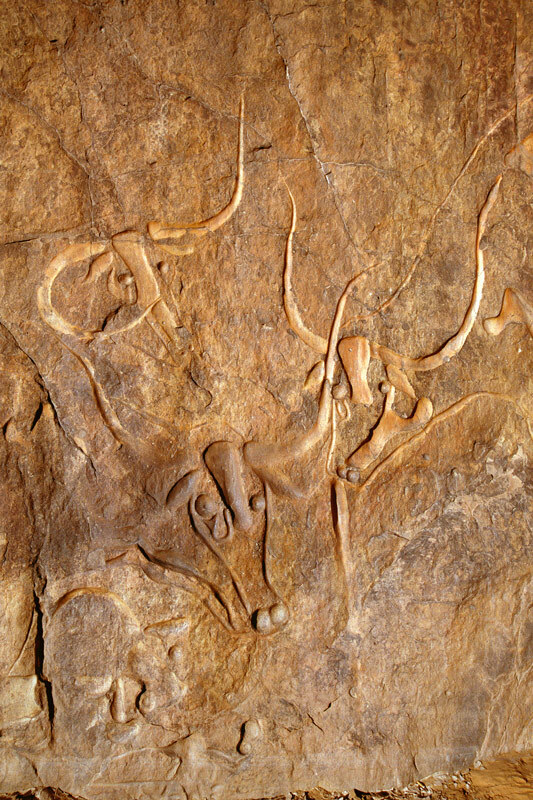 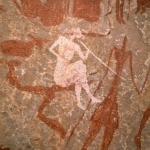 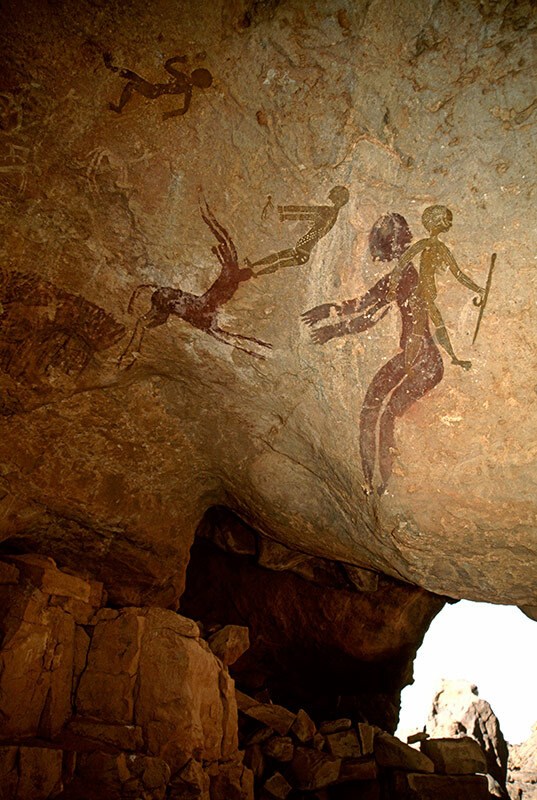 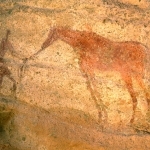 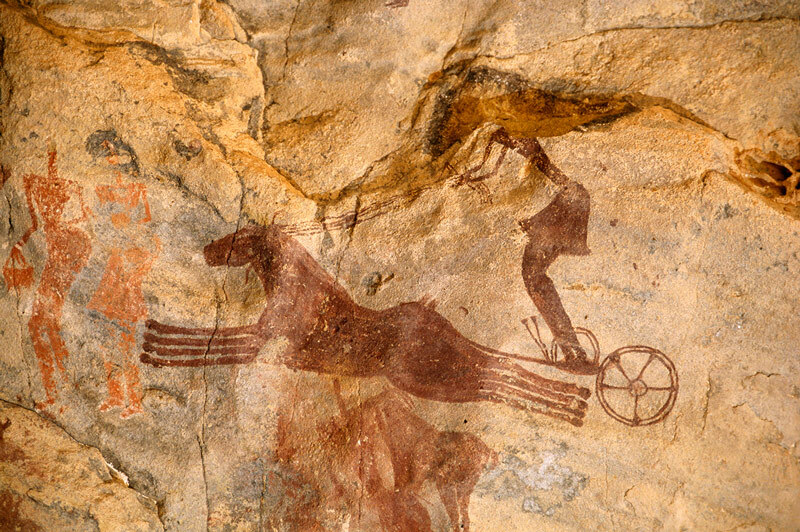 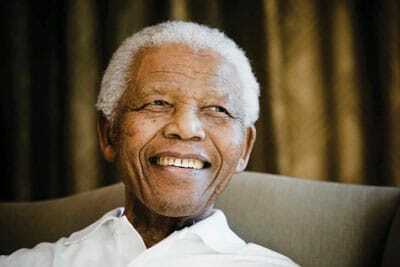 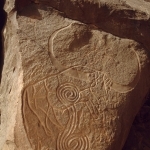 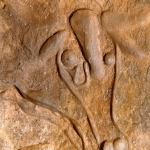 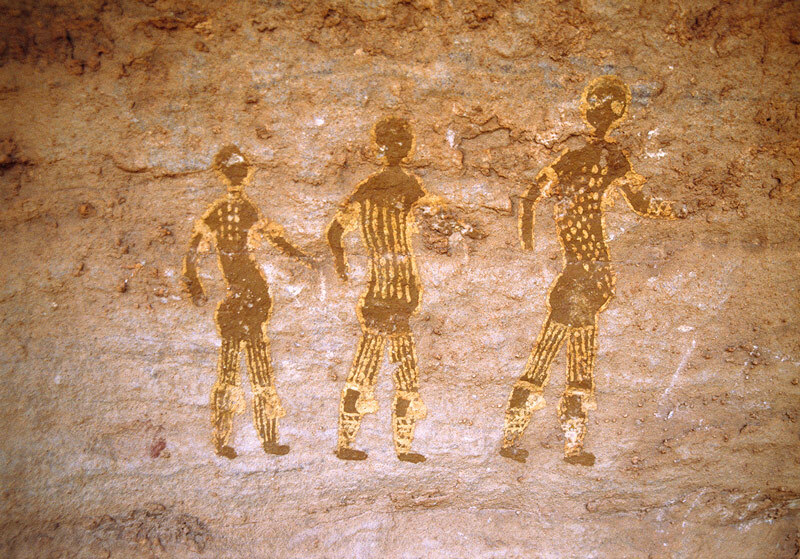 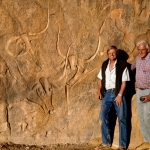 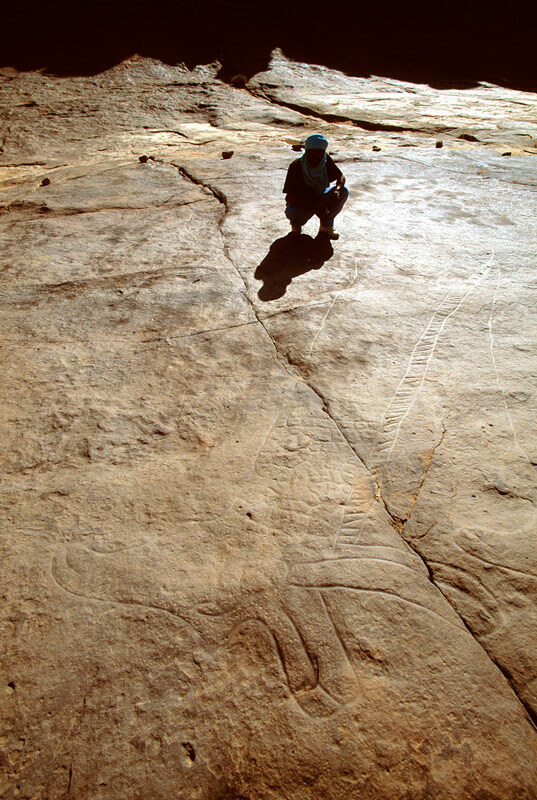 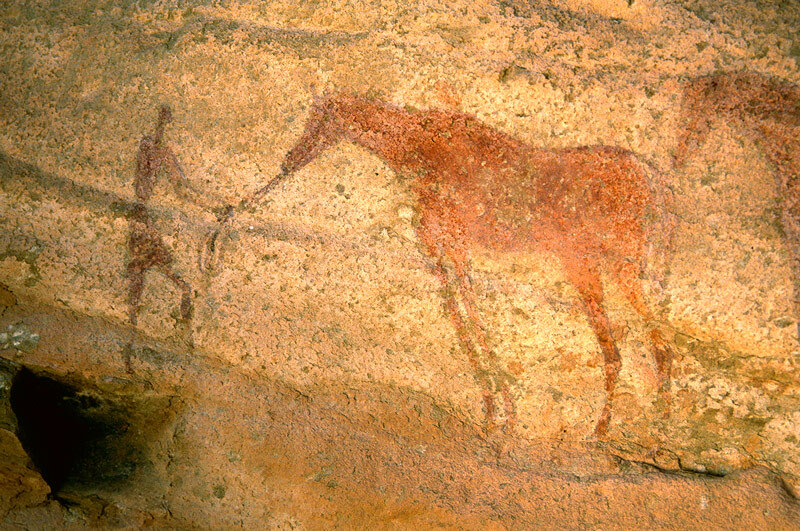 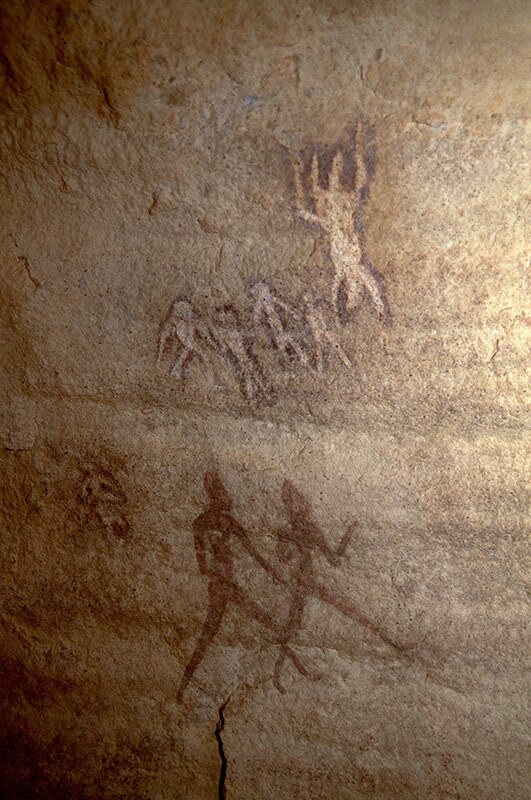 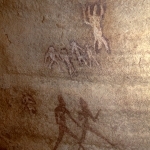 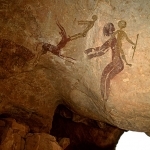 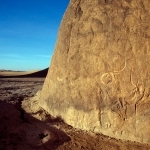 It also hosts the richest rock art concentrations of any other African country and some of the richest on earth. 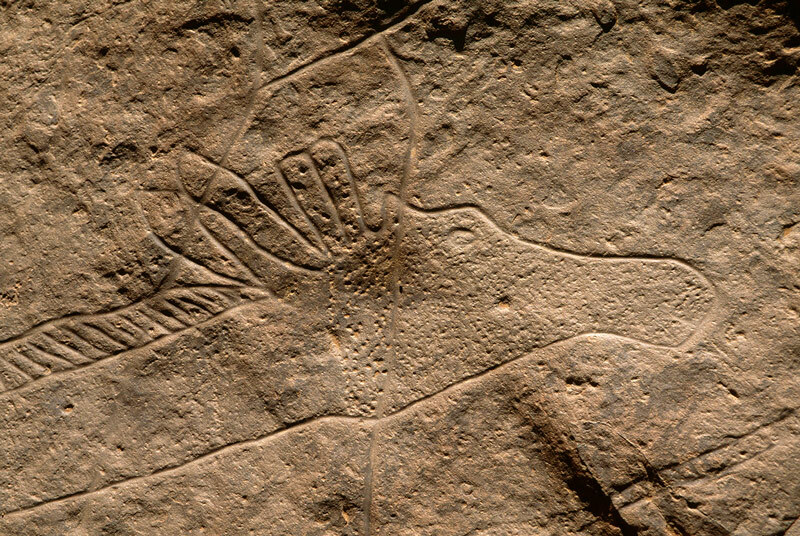 Most of these are found in the south east of the country near its borders with Libya and Niger but there are also important concentrations in the Algerian Maghreb and in the Hoggar Mountains in the central south. 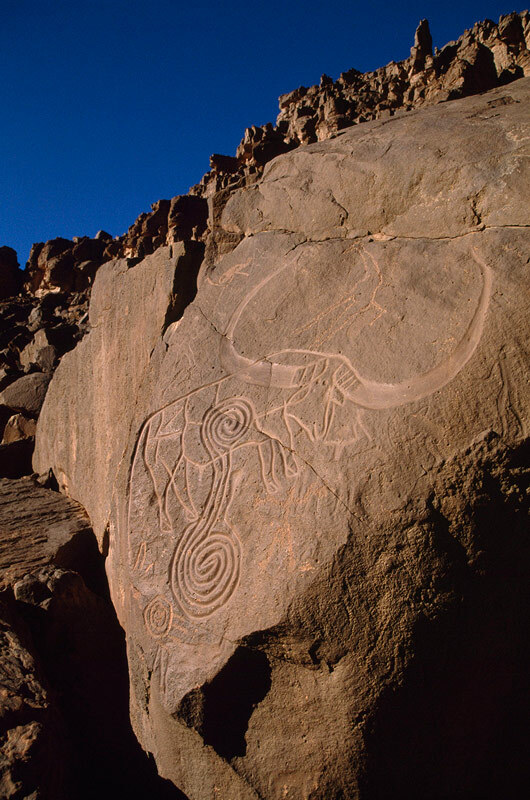 The most famous of all these areas is the Tassili n’ Ajjer in the south east, an 80,000 square kilometre moonscape of silent canyons and “forests of stone”, a National Park which was inscribed on UNESCO’s World Heritage List in 1986. 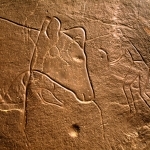 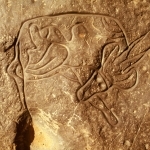 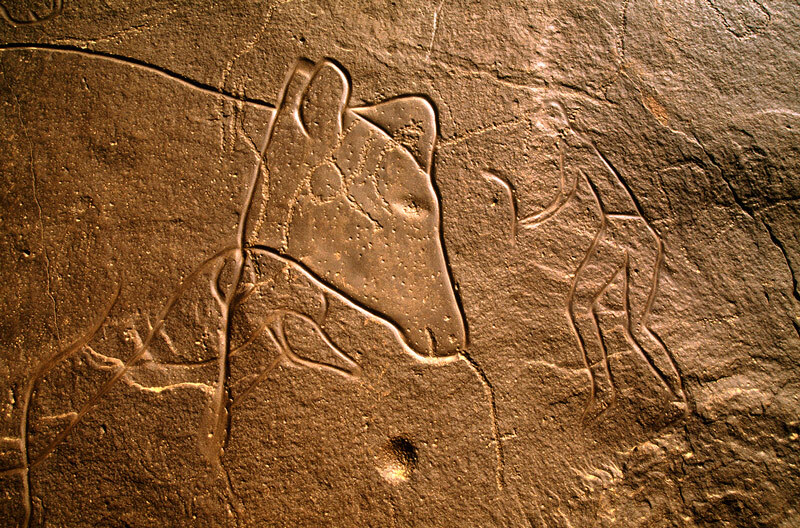 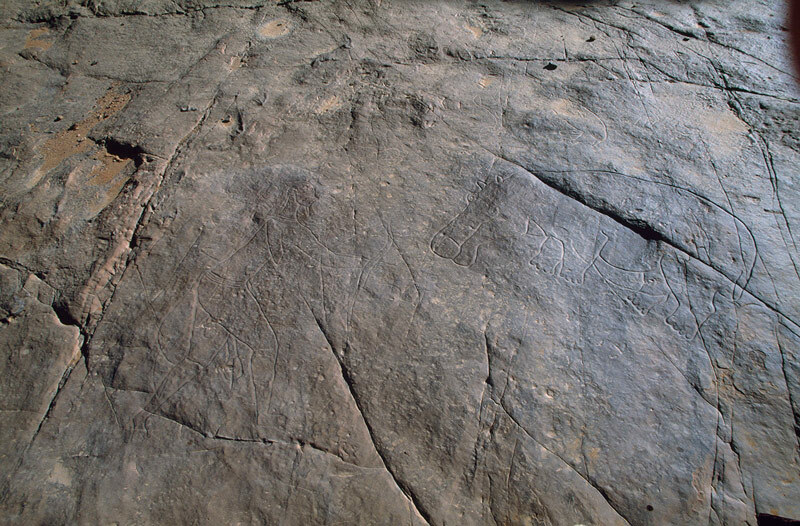 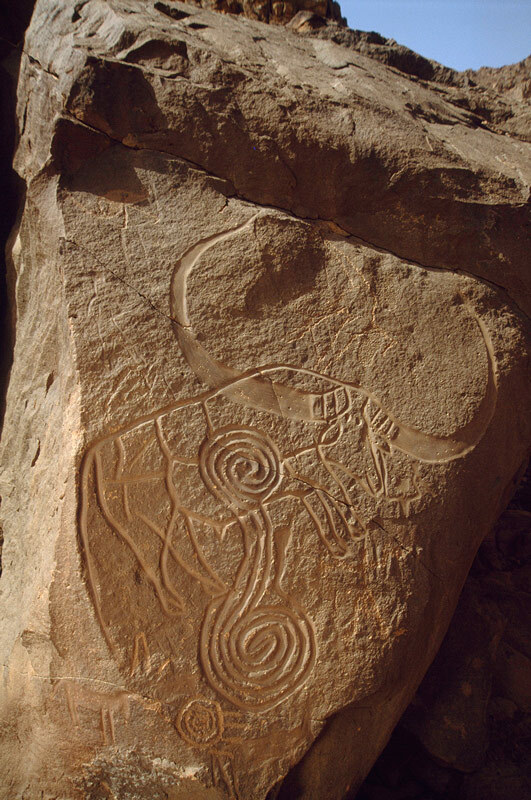 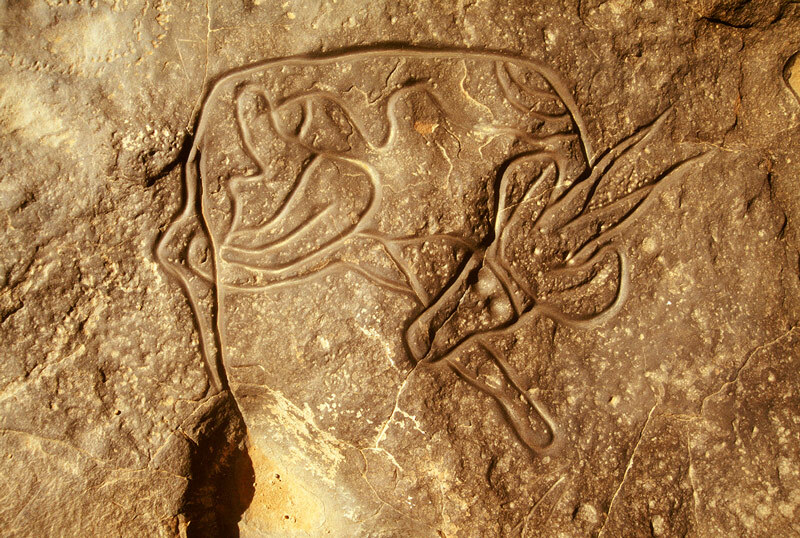 Most of the art here seems to date from between 9,000 years ago and 4,000 years ago while some of the large animal carvings/engravings may date back to 12,000 years or more. 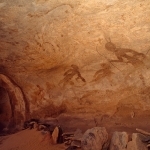 The area is especially famous for its Round Head paintings which were first described and published by French archaeologist Henri Lhote. 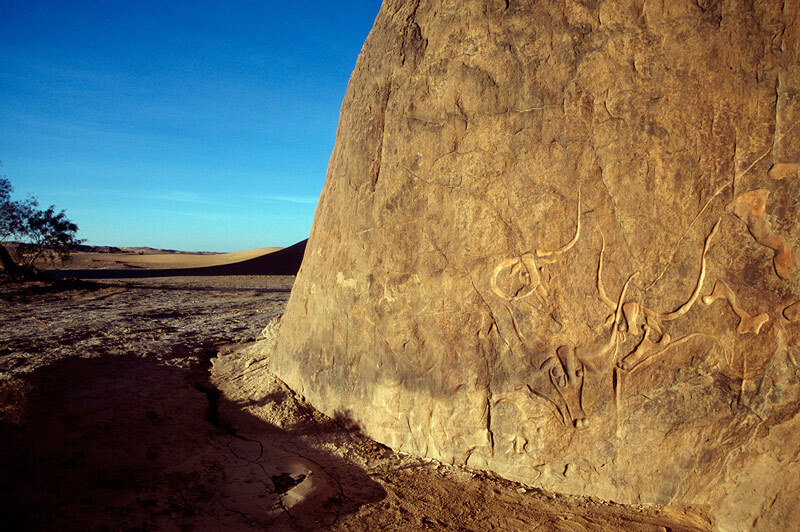 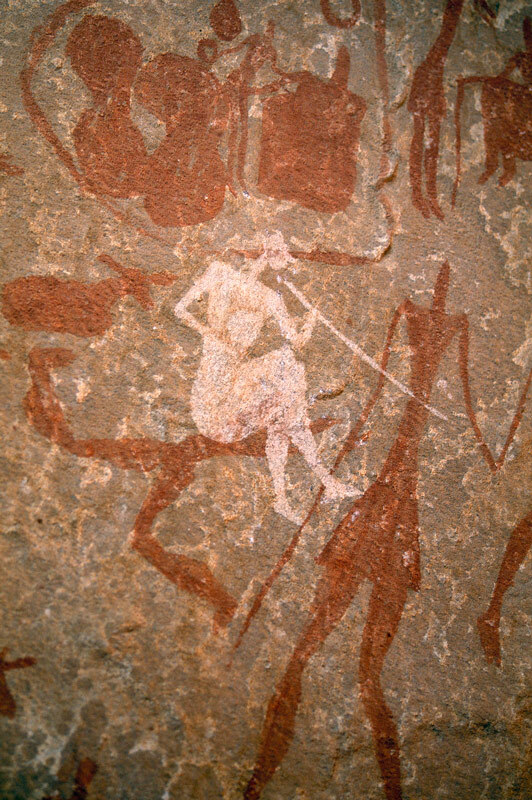 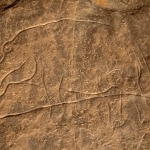 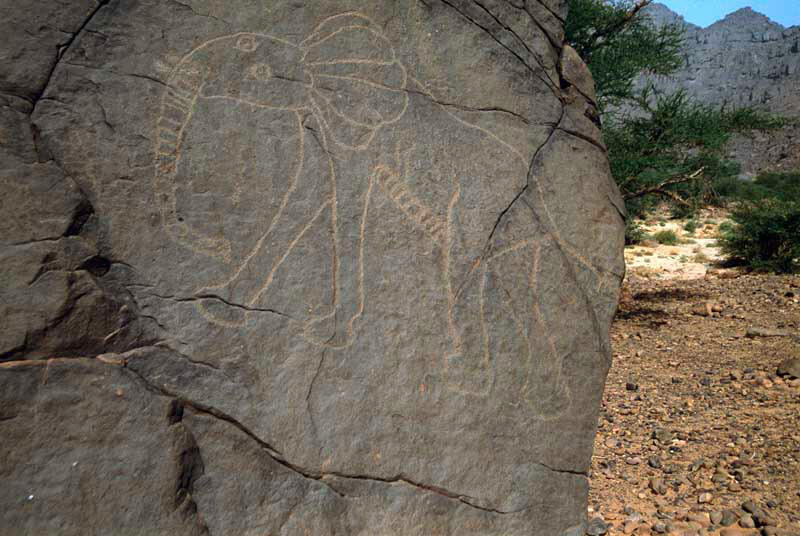 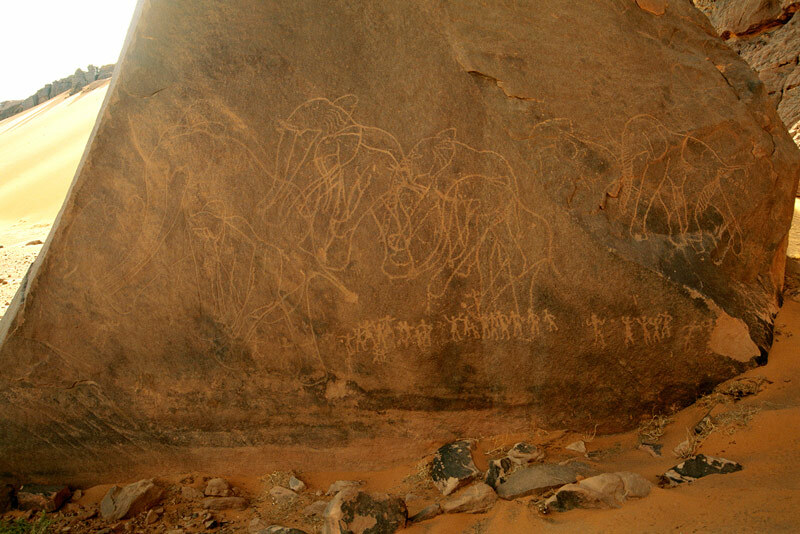 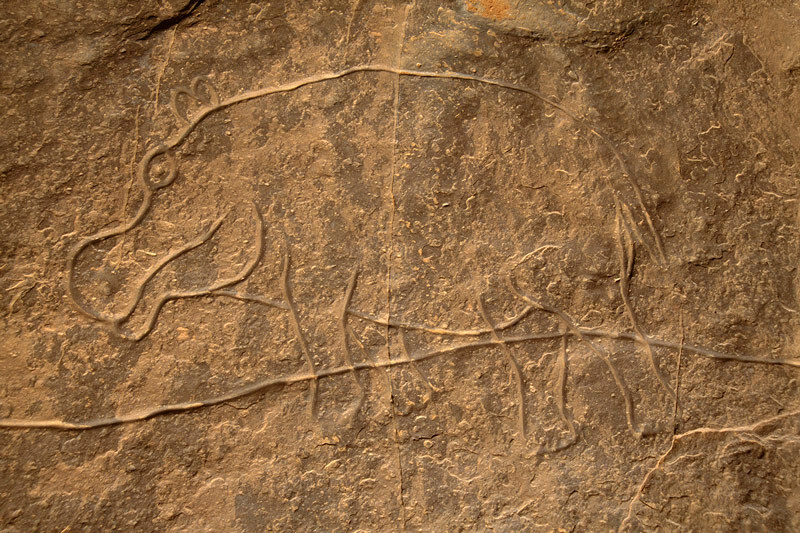 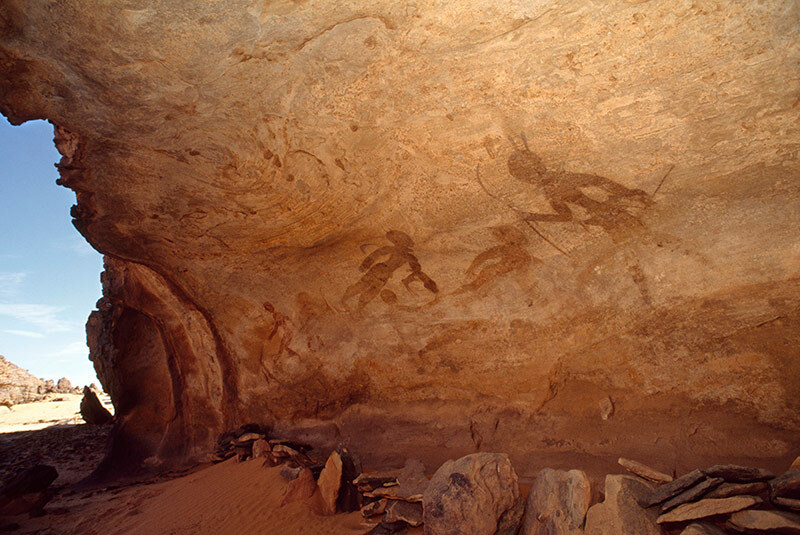 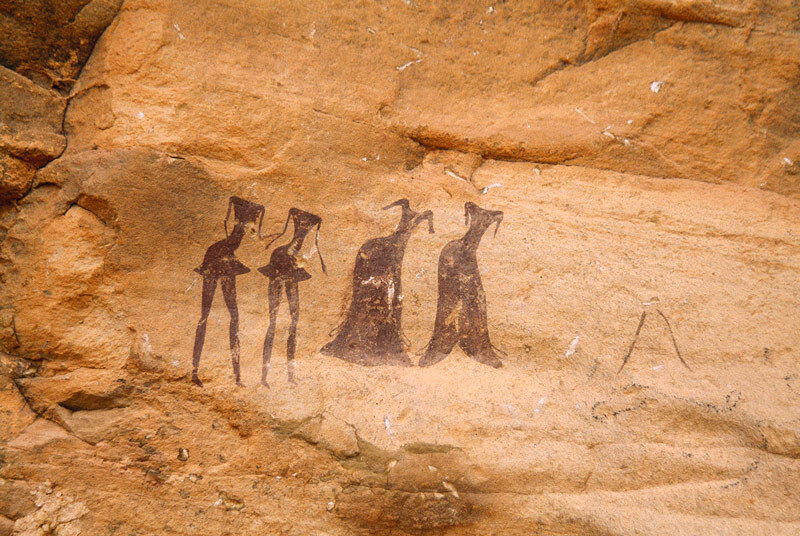 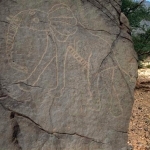 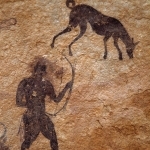 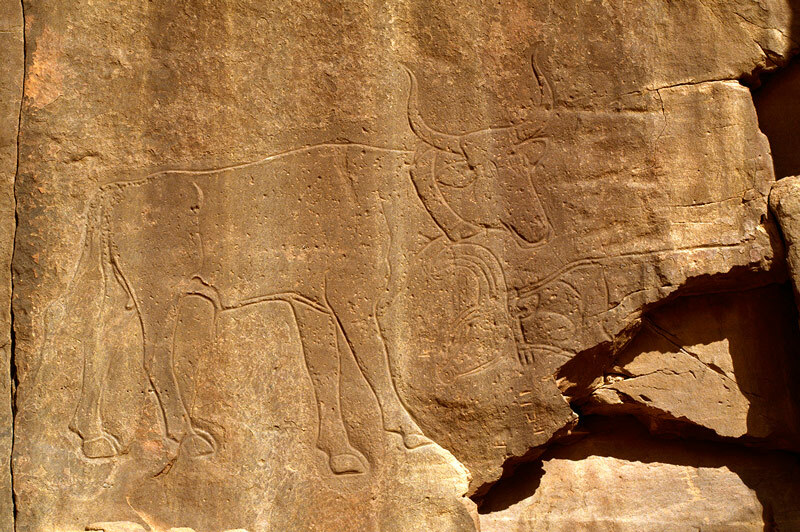 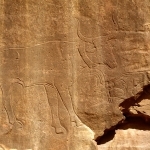 Along with other parts of the Sahara, the Tassili experienced dramatic climate change during this period resulting in an influx of wildlife and human populations from the Middle East. 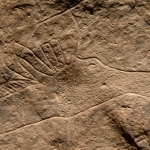 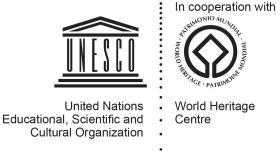 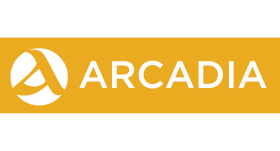 The highly developed cultures/civilisations which flourished in these areas over these millennia are thought to have had a major impact on the subsequent flowering of Egypt’s ancient civilisations as the Sahara people were forced to gradually migrate to the Nile valley as their lands dried up again.